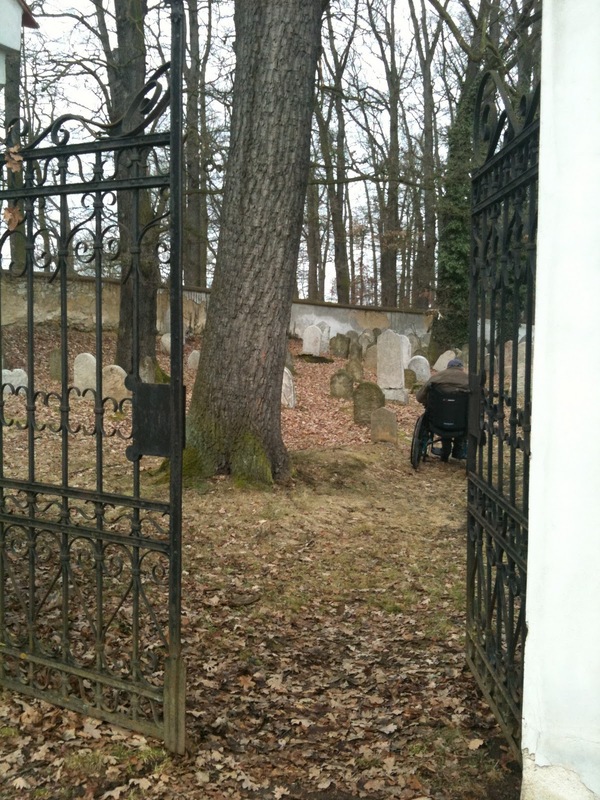 In our continuing visits to Jewish Cemeteries (Židovský hřbitov) of the Czech Republic with our colleague Lynn, we offer another set of landscape views: this one tucked beneath the Castle Hill in Hluboka (just a few km away from us). 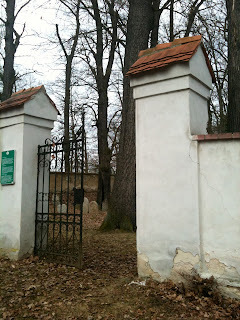 Of all the cemeteries we have seen to date, this was the first one with the gates unlocked and ajar! 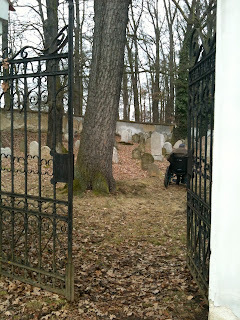 Once inside the gate, some of the old stones are still present, although most were broken off during the Nazi occupation and had to be righted again later. On the right-hand side, however, are all newer stones which means that all of them were destroyed by the Nazis. It is a sad, quiet place here.....even somewhat eerie in feeling. 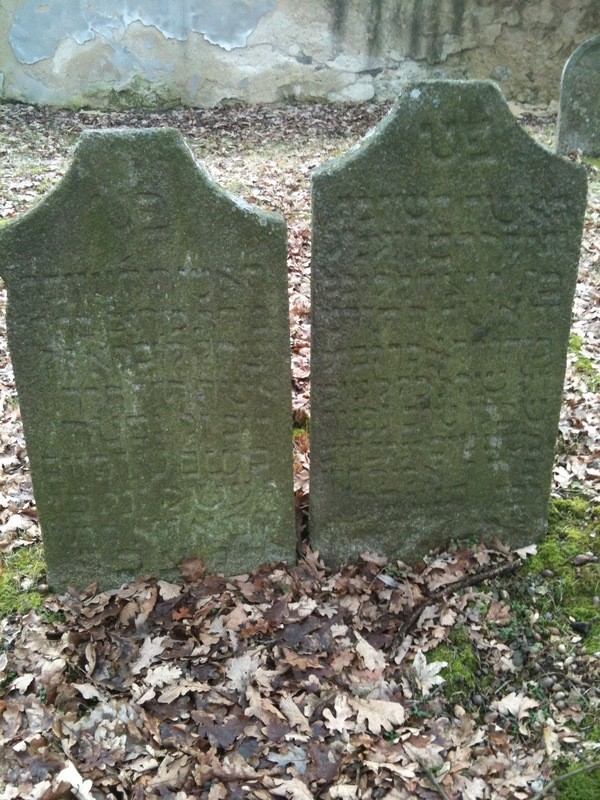 Here are a few views of some of the old stones, many dating back to the 1700s and 1800s. You can see that only a few of the old stones remain but it is a wonder that any do. Here a colorful mixture of stone markers. 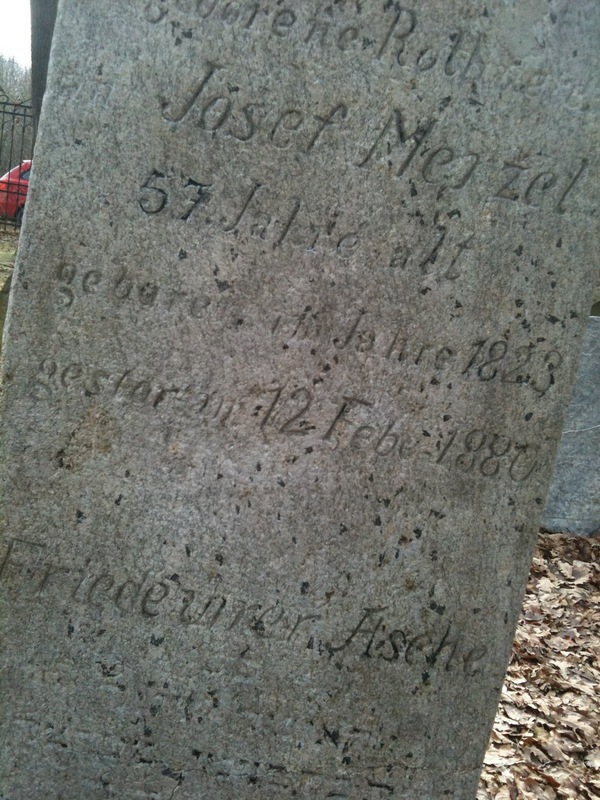 This one, for Josef Menzel, is dated 1883 and another date for 1880. Many of the stones in this grouping are damaged, either by recent vandals or from years ago. Regardless, the sharp edges jar our senses. Now, interestingly enough, some of these had tags around the stone....string tied with a piece of blue material. Each one had a number on them. We figure most likely someone is mapping the cemetery for the grave locations. 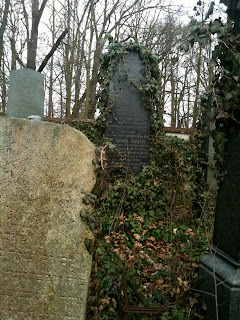 As with so many other Jewish cemeteries we have visited, this one is lined with oak trees within the walls and, again, numerous mature specimens of ivy, Hedera helix, climbing the trees. The color green is everywhere even in the depths of winter. Green and chartreuse lichen grace the stones and the base of the tree trunks. Here, a small black bird scratches looking for bugs beneath the bases of the huge oak trees festooned with green lichens. This bird was extremely tame....we walked right up to it and it did not fly away! We watched it for several minutes. 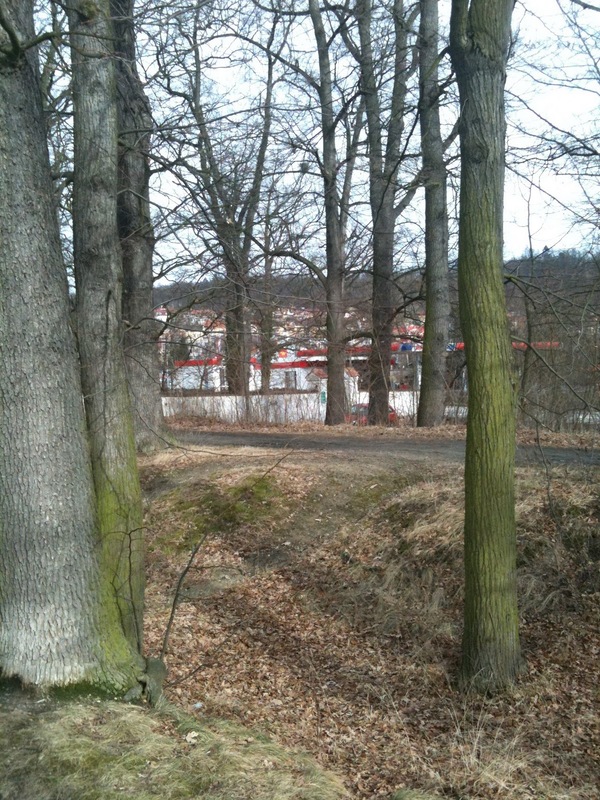 The old walls seem greyed and sadly quiet while across the street the local Benzina (petrol or gas) station is bustling with activity. Numerous cars and trucks roar past on the road or stop at the Benzina. No one looks over here...it's like nothing exists. Our friend Lynn takes here photos of the station and our red Skoda. 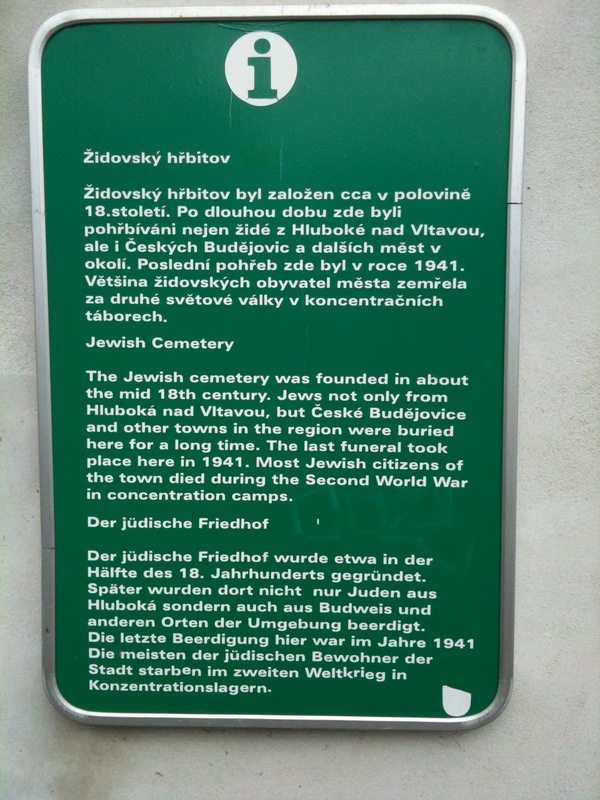 Someday everyone will get to see her images when she opens her shows on the Czech Jewish cemeteries. We can hardly wait! 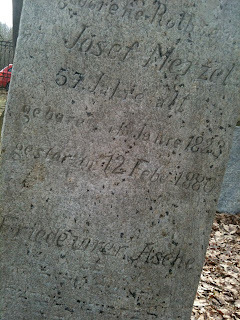 We are surprised to see several wrought iron grave markers which bear the Rzmberk seal (the rose). 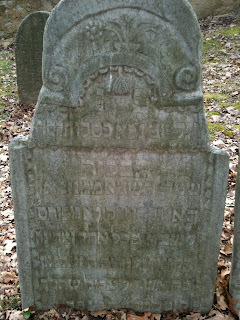 As we had suspected, some members of the Rzmberk family must have had Jewish connections. Neil, sporting his hat from his home town's store, Dan & Whits, of Norwich Vermont (USA) wants to look at the numerous stones graced with the juvenile (immature) growth of ivy. Some markers are completely covered with ivy while others stand starkly against the cloudy sky completely without it. 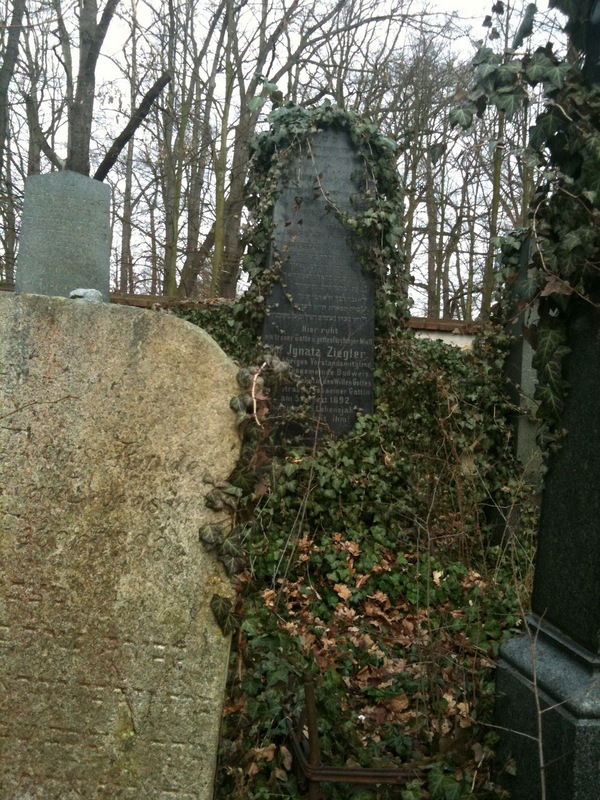 This one is artfully covered with drapes of ivy...keeping the mystery of the unknown stories of the many people buried here just that: most of it hidden and unknown. These two are completely covered....now green and living forms. From death to rebirth; a newness and richness arises. 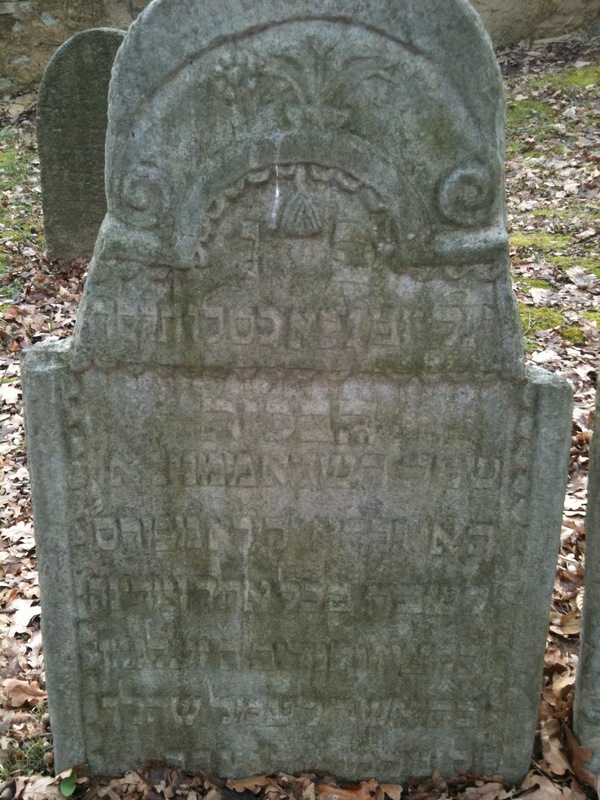 Occasionally we see a stone carefully placed on top of a grave marker, carefully balanced in time. This is a common Jewish tradition of a more permanent remembrance from the living. They outlive fresh flowers and certainly speak so much more than plastic ones. 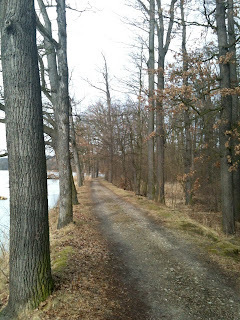 Behind the cemetery, a road leads around the adjacent historic Fish Pond where many people walk or bike by in complete silence. We see their heads bobbing above the cemetery wall when we're inside. 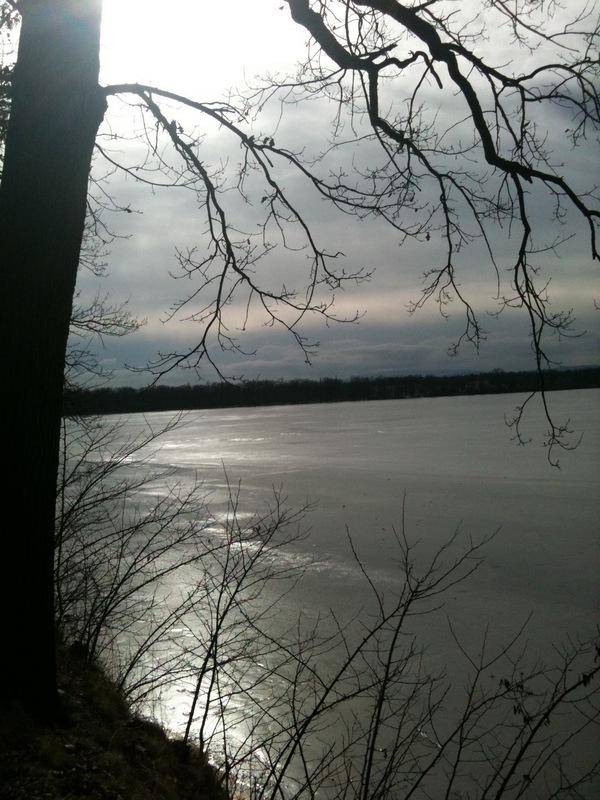 Here are a few pictures of the frozen historic Fish Pond this wintery day. The naked oak branches seem to scrub the ice clear of snows. 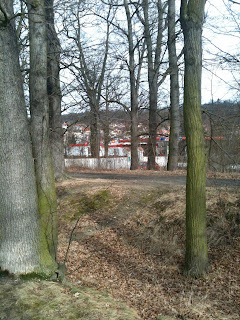 To the north of the cemetery, a vast empty space exists with only some moss and lichen-covered oak trees sprout. This most likely is the extra space for cemetery expansion or....perhaps, it was an older section of the cemetery that has now completely disappeared? 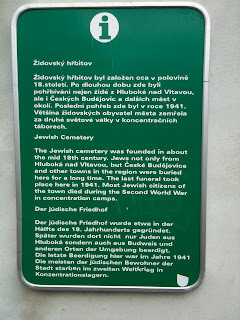 It is a most interesting place to visit, this Jewish Cemetery or Židovský hřbitov. We leave, immensely touched and changed forever by the common threads of green, old and new, things here, others forgotten. May we all grasp the threads of remembrance for in here we find the pulse of life eternal. Celebrating Egyptian independence in Bohemia!